THE TAKEAWAY: If you want to capitalise on a social media trend, you're going to have to be poised and ready to pounce. When a trend takes off on social media, it typically spreads like wildfire, providing not-for-profit organisations with an opportunity to put their own spin on it to further their work. 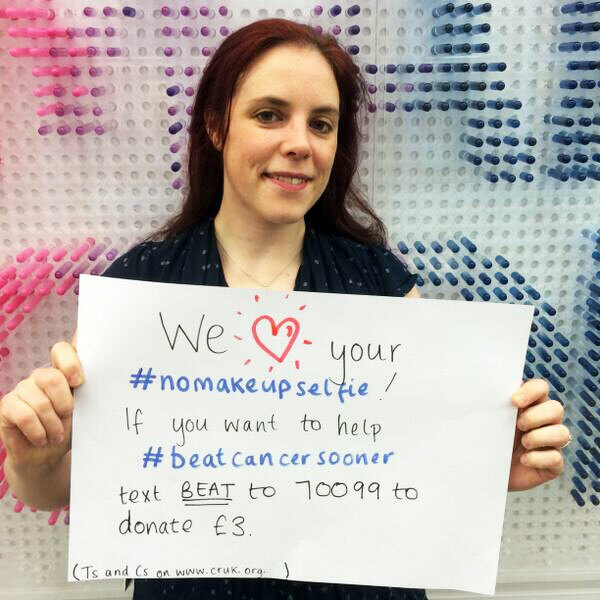 There have been plenty of examples of campaigns that have captured the public's imagination in such a profound way that they have been compelled to not only get involved themselves, but share the story with their friends – from #nomakeupselfie which raised more than £8 million in donations in just six days for Cancer Research UK, to a spinoff of the Neknomination craze that became an unlikely source of charitable goodwill and social change, to Movember, which became effortlessly viral as people showed off their mo’s on social media. Viral social media campaigns can strike seemingly at random, so get your most connected person (the one who is on Facebook or Twitter all day, every day) to be on the lookout for trends. Then be ready to pounce. On social media, your message needs to be ahead of the pack, not two days behind. Make it easy for people to donate (any more than one click to your donations page is one too many) and issue regular reminders. Many overseas campaigns, particularly in the US and UK, have benefited from charities promoting mobile phone text donation numbers, which act as a call to action. In Australia, SMS donations are in their infancy but if you register your cause on GiveNow now you'll have a link ready the next time a trend hits. People love to be involved in something big, and they love to be recognised for their contribution. Saying a public thank you on social media and showing the difference people's donations will make will help build trust and encourage people to continue their involvement. A simple blog post or email answering questions (including the tough ones) about how you’ll use the money raised can be a great response for potential or actual donors. Consumers reject brands that expect them to make dramatic shifts in their usual behaviour. Identify what people are already doing and how that could align with your cause and run with it. People also don’t like jumping through hoops. The more hoops you create, the less likely it is they will participate. Make it easy to get involved (Don’t force people to dress up or run a marathon just to take part). The feeling of being part of something shared and important shouldn’t be underestimated. It makes people feel good about themselves. And experts say emotions – particularly positive emotions – trigger sharing. While inspirational content helps encourage sharing, it may not be relevant for your organisation. Find what works for you. The most successful viral campaigns rarely start out that way, so don’t consciously try to go viral. According to the experts, people are drawn to campaigns that are authentic and not deliberately or overly engineered. That said, it also makes such campaigns hard to replicate. A key factor in the success of many viral social media campaigns is the mobile element. It means people don’t have to be at their desks or near a post box to donate. All they need is a phone. Any fundraiser who hopes to go viral will need to think about how their message will work on mobile. The bigger something gets, and the quicker it spreads, the more important mobile becomes. It may sound like a dream, but what would your organisation do if it suddenly received millions of dollars in donations thanks to a viral social media campaign? Bump up your reserves, invest in new equipment or technology, pilot a new project or service, or improve an existing one? All not-for-profits should develop a clear answer to this question as part of their strategic planning process so they are ready in the event of an unexpected windfall (and have a clear and immediate message when asked what this surprise bonus cash will be spent on). In order to create an authentic viral social media campaign, not-for-profit organisations need to hand over control and creativity to their audience, and let them run wild with it. Consumers need to own, or at least feel like they own, a campaign for it to be shareable. This means you will need to be ready to accept everything that comes with it, including criticism. And when it comes to social media, people aren’t exactly slow to tell you what they think.